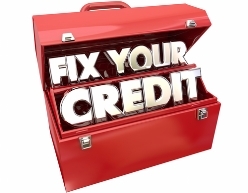 Avoiding Credit Repair Scams When You Have Poor Credit | The Consumer Law Group, P.C. As consumers, we must always be on the lookout for scams and too-good-to-be-true offers and deals. There are far too many disreputable companies preying on vulnerable consumers—those without the resources to protect themselves. One service that is ripe for ripping off consumers is the credit repair industry. Being aware of how these companies scam consumers could prevent you from becoming a victim. A reputable company will explain your rights and help you set up a debt repayment plan—for a fee. Be aware that you can do this on your own for free, but if the structure and organization of working with a service appeals to you, just be sure you are aware of what it will cost and don’t fall for a company out to scam you. If you hire a law firm, however, it may carry far more weight than a "credit repair service" in getting your creditor to compromise you debt and upon payment, this will help your credit score. Use of a Credit Profile (or Privacy) Number. If a credit repair company assigns you a 9-digit CPN, what they are really doing is giving you a stolen Social Security number so that you can open new lines of credit without the creditor having access to your true credit identity. These numbers are often stolen from children and this is a violation of federal law. Directing you to apply for an Employer Identification Number. An EIN is a legitimate identification number issued by the IRS, but if you are not actually a business, it is illegal to use one to apply for credit. If you are caught using either of these numbers, you could be charged with a crime and face stiff fines or jail time. Any credit repair service attempting to use such tactics should be reported to your state’s attorney general or the Federal Trade Commission. Our attorneys work every day to protect consumers from violations of the Fair Credit Reporting Act, auto fraud, Virginia’s lemon law, and the Fair Debt Collection Practices Act. We are happy to provide information to your friends and neighbors to help them avoid being the victim of a scam, and in the right cases to help settle their debts and improve their credit score.